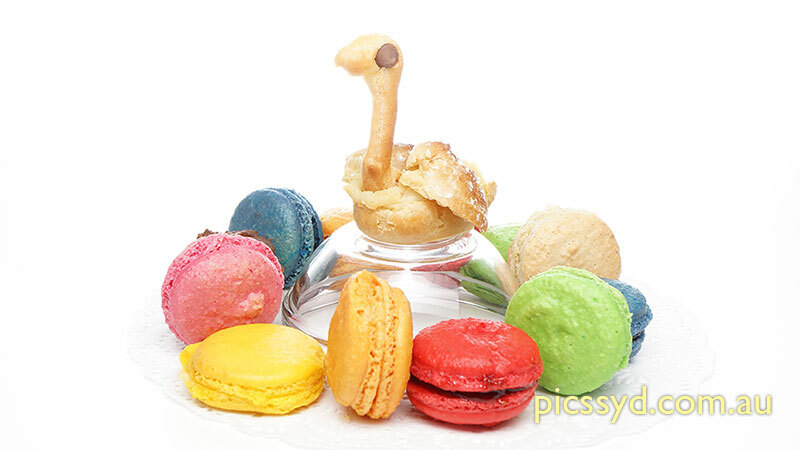 Right now, macarons are very popular in France, and are sold in almost every Patisserie and served in Salon de Thé. In this workshop students will be introduced to the history of the Macaron, and will learn how to make a selection of those tasty little cakes (from simple recipes to more elaborate ones, including US styled macaroon). Besides macaron, we also teach one of the difficult French pastry recipes: Choux Paste in sweet and savoury versions. This is beginner's level of Macaron making. Advanced students can enrol into our advanced level Macaron and Filling Workshop. Classes are run subject to acquiring minimum numbers. Maximum number of students for this Class is 8. Students will enjoy the macarons and choux at the end of the workshop. Macaron and Macaroon are different. Albeit, many shops misspelt the name as macarons when they actually sell “macarons,” and pronounce it wrong. Please refer to Macaron or Macaroon page for the difference. We will teach you both macarons and macaroons in this workshop.